Latvia will host the Baltic Sea region’s first international conference on fifth-generation wireless technology in Riga from Sept. 27-28, according to the Latvian Embassy in Seoul. 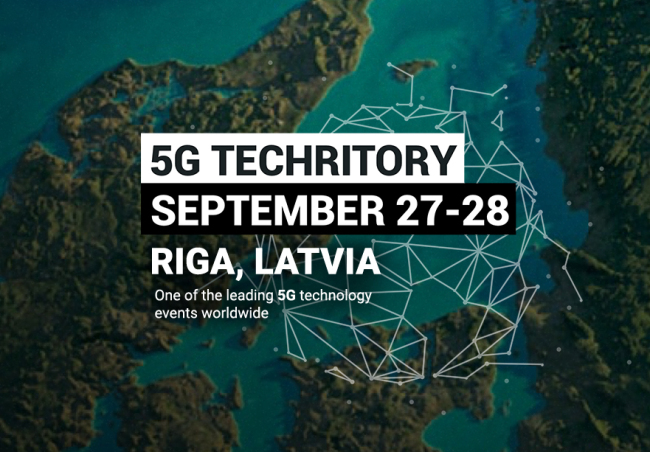 The Baltic Sea Region 5G Ecosystem Forum, also called 5G Techritory, will gather more than 1,000 participants from around the world, marking this year’s centenary anniversary of independence of Baltic states Estonia, Latvia and Lithuania. As the world’s premier event on 5G, the forum will discuss business models and opportunities, the latest related progress in Europe and the region’s role in building a European Gigabit Society -- one of the European Commission’s strategic connectivity objectives targeting 2025 as part of its digital single market initiative. The scheme prepares Europe for next-generation broadband infrastructures harnessing gigabit speeds, including both fixed and 5G mobile internet access. An EU fund of 700 million euros ($809) is slated for 5G public-private partnerships. “The forum will present an excellent opportunity for you to meet many important players related to the 5G agenda in Europe, as it is well positioned to lead the 5G technology and challenge Silicon Valley and Asia,” said Janis Barda, chairman of the board at Latvia’s Electronic Communications Office. The event will focus on smart cities, smart mobility, smart health care and Industry 4.0 -- referring to the convergence of traditional manufacturing and industrial practices using digital technology -- for the region of Denmark, Estonia, Finland, Germany, Latvia, Lithuania, Norway, Poland and Sweden. The region is a leader in information and communication technology and innovation in Europe with high levels of digital maturity, governmental ambitions for digitalizing services and digital competencies across societies. The conference is hosted by Latvia’s Office of the Prime Minister, working in partnership with the nation’s Electronic Communications Office, Ministry of Environmental Protection and Regional Development and 5G Automotive Association, as well as the Nordic Council of Ministers. Sixty prominent guest speakers, including Andrus Ansip, the European commissioner for the Digital Single Market and vice president of the European Commission, Qualcomm CEO Steve Mollenkopf, Huawei Technologies 5G Product Line President Yang Chaobin and investors, scholars, journalists and high-level government and international officials will discuss various issues. Corporate executives of South Korean conglomerates Samsung Electronics, LG Electronics and KT Corporation will also participate. The forum’s official website -- www.5gtechritory.com -- provides information on programs as well as special airline and accommodation offers. The embassy can be contacted at embassy.seoul@mfa.gov.lv or 02-2022-3800.